I've met enough influencers to have developed a (gratuitous) generalized opinion of the position. Through social media, these once-laypeople have transformed themselves into pseudo-celebrities, amassing hundreds of thousands to millions of followers who double-tap because of their aesthetics and unique perspectives, and eventually, these influencers monetize their own posts, the posts you and I have the same access to create. It's fascinating, albeit a bit envy-inducing. Sure, influencers have that enigmatic It factor and razor-sharp eye for content, but behind their curated grids, #sponsored posts, and expertly edited imagery are personas with the same intangible, unrelatable clout as a Kardashian or Jenner. Speaking of which, when Huda Kattan, the founder of Huda Beauty who has 25.7 million followers on Instagram, and I met a few days ago to discuss her upcoming Facebook reality show, Huda Boss, I expected the same disparity I would feel with an A-List celebrity. But upon entering her hotel suite, there wasn't an ounce of pomposity in the air. "I'm a hugger," she tells me, before laying on a big squeeze. I'd met influencers with a fraction of the following she has and wasn't met with nearly as much warmth, so I asked the beauty mogul how she stays so humble. "Everybody shits," she says without a flinch. "It's like the people who've followed you made you. You know what I mean? So I just feel like things have changed. I feel like there was a time where people could be like 'Oh, I'm too good to notice people noticing me,' and it's like, no, actually, you're not. Nobody is." Kattan says she tries to respond to as many comments as possible within her "small community," (if almost 30 million people is "small") to foster a connection, a refreshing pursuit that's sure to be responsible for her massive fan base. That and the fact she's somewhat of a van Gogh at makeup and hair. Eager to learn her beauty secrets and connect with her fun-loving personality even more, I sat down with the newly minted reality star for all that and more. Tell us about your reality show and what we can expect. So, I'm really excited. It airs on Facebook Watch. It was kind of a challenge—we thought about doing a reality show. We thought about it for a long time, but actually, opening up your lives and taking that leap to actually do it, it's like a big decision. You really have to sit your family down. It's not like entering another retailer—it's a life-changing decision. So it was something that my family and I had to discuss, and we thought that Facebook was probably the best platform. We just couldn't think of anything better. Because we are so social media–driven and we love Facebook so much, we work so closely with them, so it just felt like it made a lot of sense. We partnered up with Shed, who's our production company. They were fantastic, so ultimately I think we had the best people to work with, and so we were like, well, if we want to do a reality show, these are the people to do it with. And so we did do it, and it was challenging to shoot, to be honest. It was really challenging. We did a lot of traveling, we were in Dubai, then went to L.A. We were working around the clock. I had severe strep throat while we were there and it was just challenging. You don't really get a break. It's not like, hey, you have strep throat? Okay, let's just put everything on pause and wait for you to get better. No, you just go through. You don't get to chill. And we had photo shoots—I had to do that and then I wanted to rest in the evening, but no, you have to shoot. And then we were in Milan, and then France, and then I feel like we traveled more, and I can't think of all the places. It was a lot; it was a lot of traveling. But it was our lives. So it was just, it was a lot. And it is a lot already, so to have the cameras there, it was challenging. What's your makeup routine like in terms of what products you like to use, how long does it take, etc.? I obviously love makeup so much. In all honesty, I do use a lot of different products. I use a lot of our own experimental products, [but] there are a lot of brands I love so much. I love Too Faced; I like Tarte a lot; there are so many brands I love. Gosh, I feel like I can't even name them all. I like Charlotte Tilbury a lot. I feel like there are so many sitting on my dresser all the time. I like skincare a lot. I love Tatcha; I'm just recently obsessed with Tatcha. There are some products from, oh my god, I love SkinCeuticals. Literally one of my favorite brands. I just went to Blue Mercury and bought everything from SkinCeuticals, even though I know [the same PR firm that reps Huda Beauty] does their PR, it's not enough. I'm telling you, it's not enough. I love Ren as well. But for my makeup, I definitely love to use multiple brands. I even love some of the KKW, some of her stuff too. And then Benefit; I love Benefit. Ultimately, for me, makeup should be a process, and it should be therapy. It should be like something that you really get to enjoy, and it should be like your "you" time. So I like to take my time with it. I love to listen to music I really like. You know, it's really an experience for me. I don't like to be interrupted in it. I like to be really comfortable, and I feel like it should be an experience. Most of the time, my makeup takes about 45 minutes, but if I can take my time, I can take up to two hours. Yeah, I love it. It's amazing. Trying things, experimenting with things, I love it. Yeah. I really love to enjoy it. I actually don't drink alcohol, but yeah, I mean, I would love to just like, if I can get time to really experiment and try new things and mess with things, go on Instagram while I'm doing it, get inspiration, you know? It's an experience. So how do you keep your makeup so flawless on hot summer days? We have a new product launching that does melt-proof your makeup, like, insanely [well]. I can wear my makeup 12 hours straight and not need to blot, not need to do anything. So we have a baking powder we're launching [Ed note: Easy Bake, launching in July]. It's like a setting powder, and then we also have a primer that is really going to keep your makeup—I mean it's insane. It's amazing. Like, literally, I wear my makeup—I'm not joking—for 12 to 15 hours and don't touch it up once. Not even once. And I'm talking about layers and layers and layers of makeup. The other day, I dove into a swimming pool, then came out and then didn't touch it up. I just had to touch up on my lashes. And then I went to a dinner in the evening. It was insane. That's incredible. That's such a good testimony. So how do you change up your routine when you're in Dubai versus when you're in New York? Oh, I change my entire routine, literally. My hair and my makeup and my skin, and this time I didn't for whatever reason. I don't know how I packed this time because I feel like there are bags missing and I can't find things, and I'm like, Where are they? I'm sure they're here, but yeah, I think that ultimately you just have to look at the weather. Usually, when I come to the States, it's almost always, I feel like everywhere is drier than Dubai. We have 100% humidity almost all year round. It's funny, too, because my skin is usually really good. I have to change my skin when I travel. I usually have to bring richer creams, and I didn't on this trip, and so my skin is so dry because in Dubai it's so humid, and here, my skin is just so dry. I'm just naturally, my mom has really dry skin, I have the driest skin, so I have to constantly slather lotion head to toe all the time, and I didn't bring my lotion so my skin is so dry. You can see these wrinkles from all the makeup and I'm like no! A lot of people's skin starts to break out when they move [to Dubai]. And for me, my skin is amazing when I'm there. So when I'm here, I really have to slather on the moisturizers. I have to drink a lot of water, really hydrate. And I think there's really that adapting. Also, I think like the foods you eat too, there are always those hormones, you just want to kind of take it easy with the meats, you know, stuff like that, and get your body maybe acclimated to it. I definitely think you have to adjust, you know? When I travel, I'll rinse my hair with bottled water. I try to keep it as small of a change as possible. And a lot of times, what's really great is the brands that you use, I feel like they usually offer a heavier formula, compared to what you like usually. I remember I used to be obsessed with Chanel Elixir. They had the gel and then the heavier lotion, cream, and gel. So it was great. You could kind of like adjust it to where you're going. So that's always really helpful. I also really like strong serums. And then I feel like if all else fails, olive oil head to toe. What are some beauty practices that are native to Dubai that you swear by? So I will say in Dubai, although most of the women cover up, I have never seen more amazing hair in my life than the women there. It's long, it's so thick, and then it's crazy because it curls the best way possible—they don't need hair spray. I find it to be unfair. And one thing I notice is that they take really good care of their hair. They don't color it a lot, they actually use henna to color, and they use a lot of non-peroxide, and it's like, wait, how is that possible? Like, literally, how is that possible? But I noticed that women in their 50s and 60s have no gray. And I think it's because they don't use peroxide and stuff like that. They use a lot of amla oil, which I know we don't use that much of. It's not even native here. I know people say that there's black seed oil there, but that's actually not true. That's not like a thing there. But amla oil is huge. It's actually from India, but it's so big there. We get a lot of influence from India for hair. It's incredible, and henna a lot. Do you have any wellness practices that you use to stay centered and calm? I absolutely do. I journal all the time. I'm actually a hard-core journaler. I always have been. And I journal often, actually. Sometimes every day. This is going to maybe sound a little bit narcissistic, but I'm obsessed with getting to know myself. I know that sounds really weird. But I actually want to know my good and my bad. It's so funny; I have a life coach who's incredible, and she'll always tell me like, Oh, you're doing this because of this, and I'll be like, Oh my God, I am? and then I'll think about it, and I'm like, Oh my God, she's right. And I feel like learning who you are—oh my God, it's incredible, even just knowing your flaws. I feel like the weirdest example, for instance, for the life of me, I just had a hard time waking up every day at a certain time. I've always wanted to be a morning person—never in my life have I ever been a morning person, and then my life coach was listening to me, and she was like, Oh, you're a rebel. I was like, What is she talking about? And then she was talking about this book and I learned that I actually am a rebel. And then knowing that, I understood that, no, I actually need to at least stand by my own rules for myself, you know, and not just always want to break rules all the time, and now I wake up early every single day. What if we just started helping each other though, you know? And people could be nice about the feedback. I think it could be helpful because you don't have to take the advice, but just hearing it sometimes can be helpful. 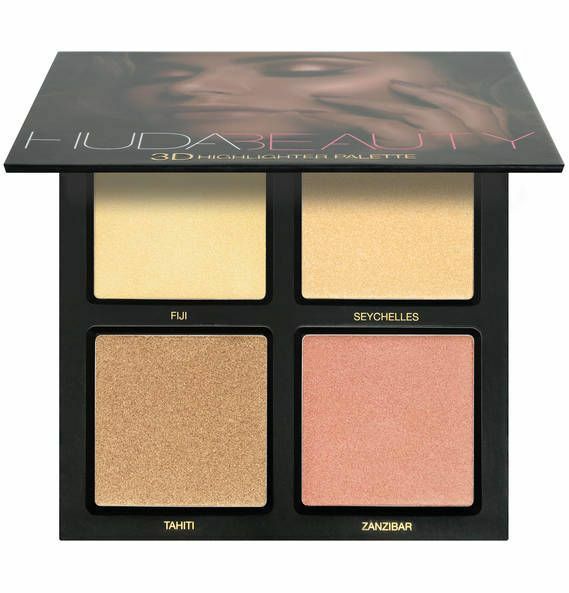 An editor favorite, this highly pigmented palette offers shimmering rusts, bronzes, and even celestial lilacs and moonstones for your most statement-making lids yet. 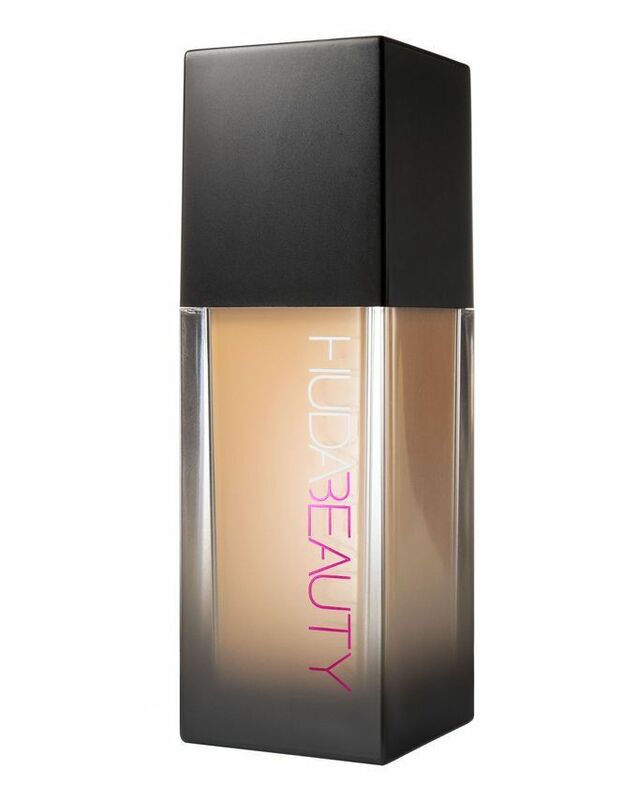 Available in 30 shades, this full-coverage foundation camouflages virtually all imperfections while imparting the smoothest matte finish with a touch of luminosity. 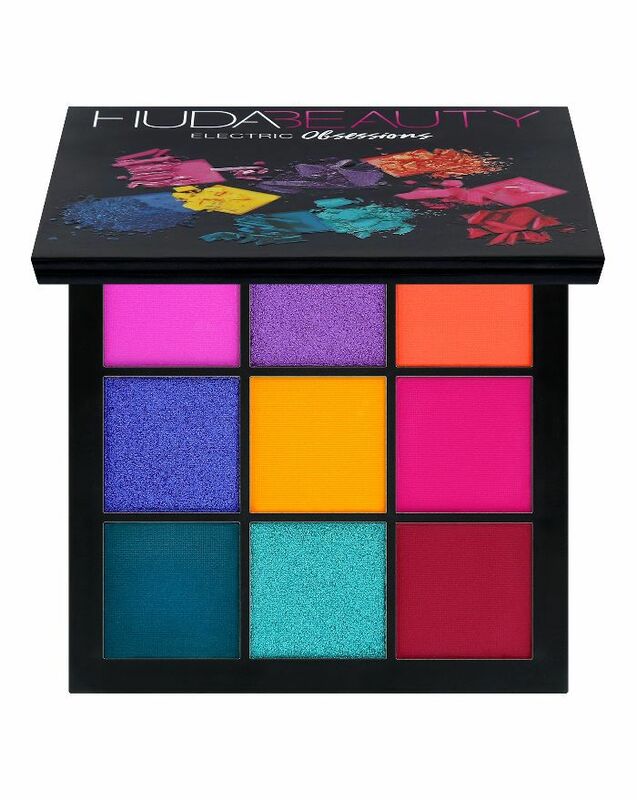 We're seeing bright neon lids everywhere this season, and you can't go wrong with hot shades like the bright taxi yellow, turquoise, and bright pink found in this palette. If you want a bit more of a subtle wash of color, dilute the pigment with eye gloss for bright jelly lids. As no stranger to testing unconventional skin and makeup hacks, Kattan once tried using Vagisil as a foundation base and fell in love with its skin-smoothing prowess. 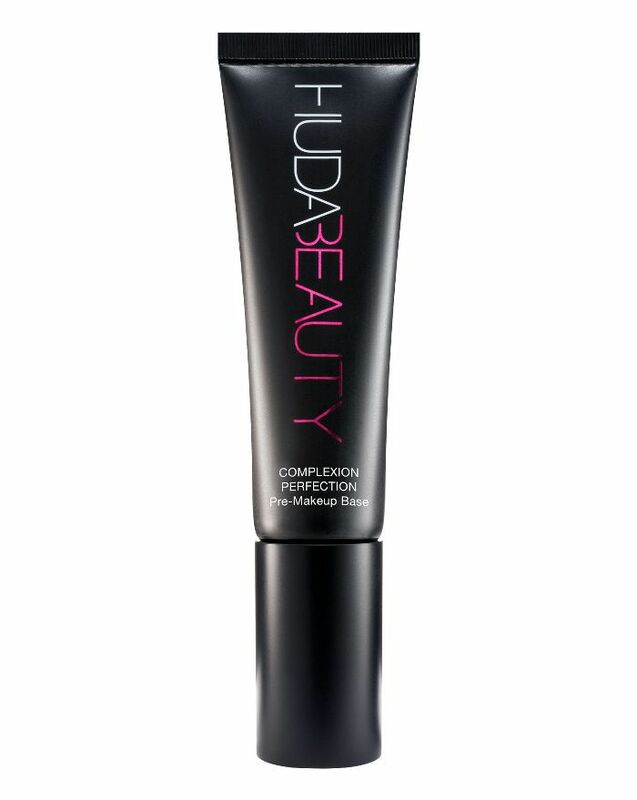 As a result, she put its main ingredient, dimethicone, in her Complexion Perfection primer so it could have the same soothing effect. Kattan is known for layering highlight on top of oil for a richer glow, which is why for her 3D Highlighter Palettes, she's created one Melted Stobe shade within each compact made of karite butter to either use on its own or act as a creamy base for the powder shimmers. For more on Huda's new show, head over to our sister site, Byrdie UK.